Rogers Park has two main distinctions as a Chicago neighborhood. It is the city’s northernmost neighborhood and one of the most diverse in Chicago in terms of population, culture and even natural wonder. Despite the distance from Downtown, there is plenty of easy accessibility to all forms of public transportation. 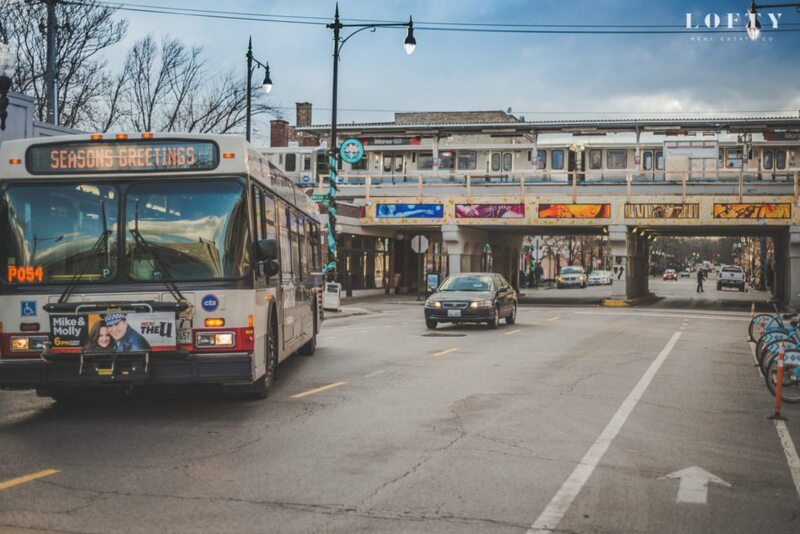 This means that the unique dining, arts, culture and entertainment found in Rogers Park are never far away. This dynamic neighborhood boasts bright, fresh murals and artwork in newly-updated ‘L’ stations along the Red and Purple lines. People from all over the world call this neighborhood home. There is no dominant ethnicity in this neighborhood as residents speak nearly 40 different languages and have roots from over 80 countries. Howard and Clark Streets are known as the Commercial District, while the Glenwood Avenue Arts District and Jarvis Square are home to a robust theater and music scene, in addition to late-night dive bars, galleries, studios and coffee shops. The lakefront is within ear shot, and nearly all the streets leading east end at public beaches and parks on Lake Michigan. Beautiful views at dawn give way to breezy afternoons along Lake Michigan. Cyclists take advantage of the myriad of bike lanes on winding side and main roads to maximize their new locale, and urban naturalists will find an entirely different set of flora and fauna than they are used to seeing in Chicago. The Rogers Park area was developed on what once was Native American trails, now known as Rogers Avenue and Ridge Boulevard. The Potawatomi tribe (among other regional tribes) would settle in Rogers Park seasonally. Indian Boundary Park, west of Rogers Park and Pottawattomie Park near Clark Street and Rogers Avenue, pay homage to these historical roots. Rogers Park has a higher rate of residents with master’s, professional and doctorate degrees than the state average. In addition, the amount of residents that work for not-for-profit institutions and organizations is almost twice as high as the state average.